The provider of this website logs and saves data that is sent by your browser. This data contains browser type and version, operating system, the website from which an accessing system reaches this website, date and time of access. The data will automatically be deleted after 365 days. Your IP address is anonymized. This website uses the open source software "Matomo" to track user activity. The data (browser type and version, operating system, the website from which an accessing system reaches this website, date and time of access, or similar information) is used to create statistics about most used operating system, most downloaded software versions and source of your visit. The data will automatically be deleted after 365 days. Also the software is configured to respect your browsers "do not track" setting. If you have activated “Automatically check for updates” in the program, it automatically calls up a website at regular intervals. This access is treated in the same way as access via a web browser. If you use the online service coconutBattery Online, anonymized battery information is sent to this server. This access is treated in the same way as access via a web browser. You are also able to save the current health information, so you can see the changes of your battery over time. 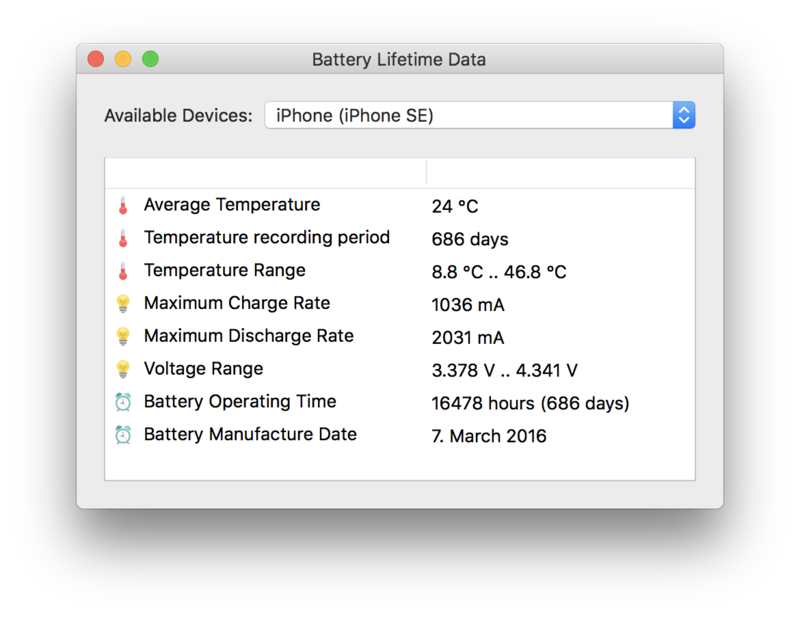 If supported by the battery the Lifetime Analyzer will show you lifetime information about your iOS battery like maximum/minimum and average temperature, voltage and charge/discharge rate ranges and battery operating time. You can find the Analyzer in the "Tools" Menu in the Menu Bar. 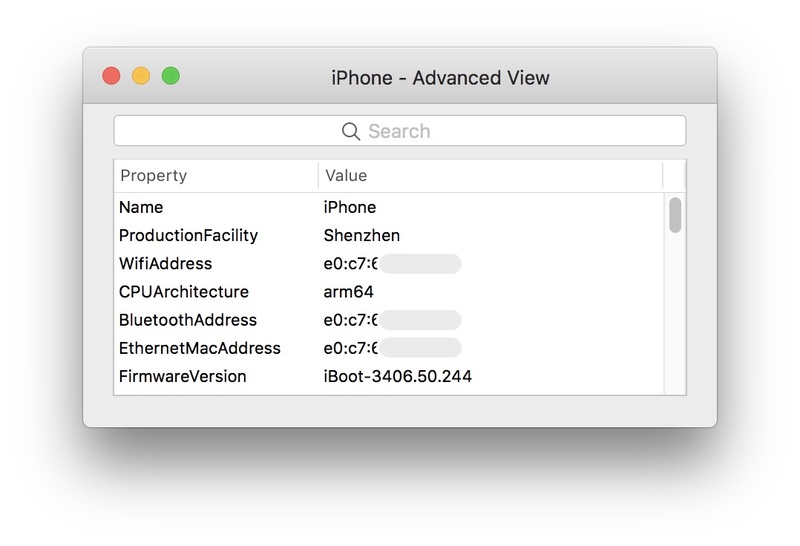 The advanced viewer shows more information about your iOS device. 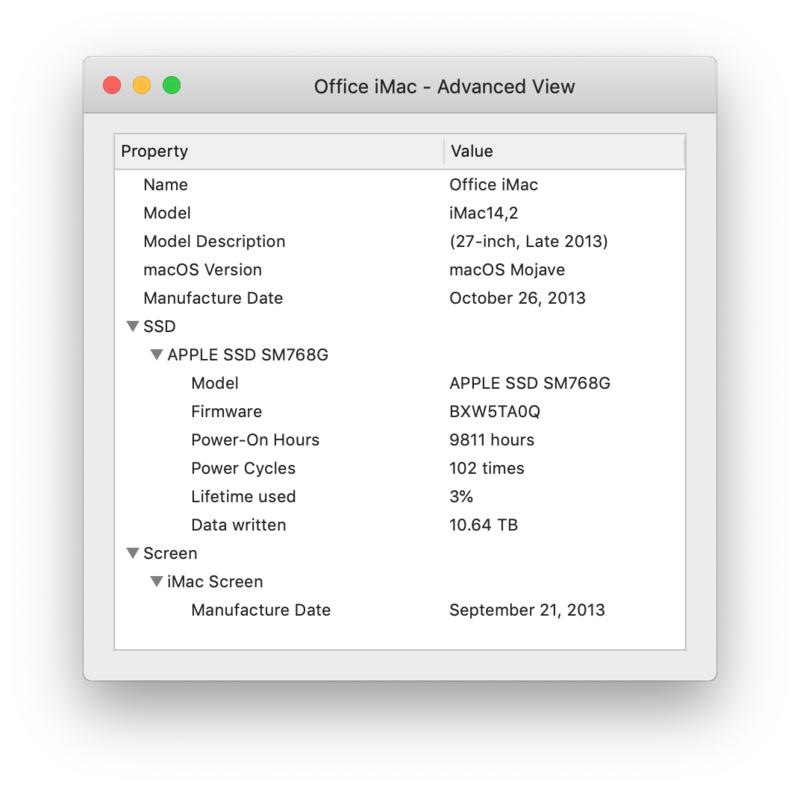 The advanced viewer shows more information about your Mac like the health of your SSD. 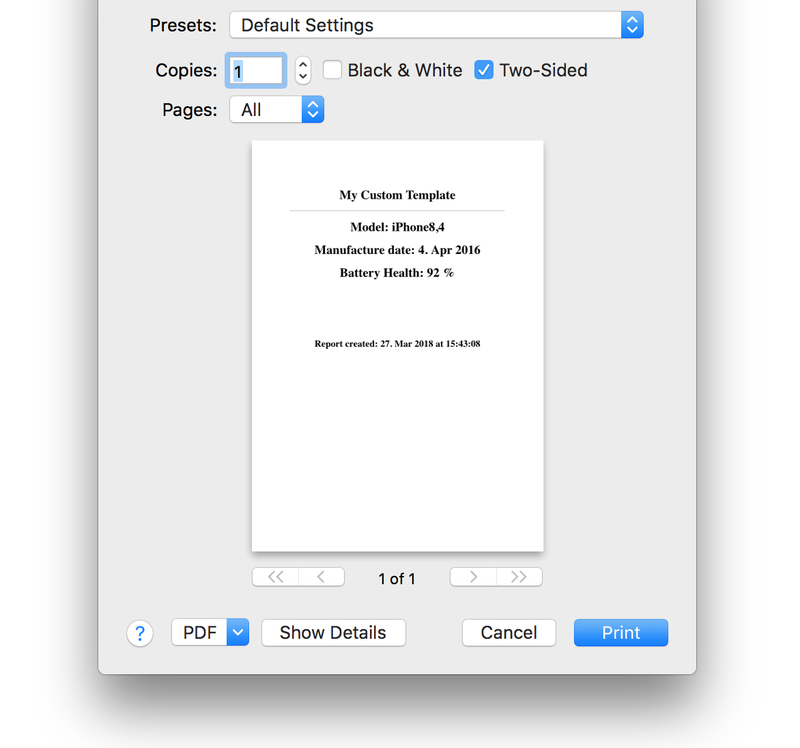 You can use your own customized HTML templates for printing Mac and iOS device reports. How do I keep my maximum battery health over time? For iOS devices: The faster your battery is charged the more this affects battery health in a negative way. Charging via USB will often be better for the battery as using a wall charger. My current maximum capacity is higher than the design capacity. What's wrong? 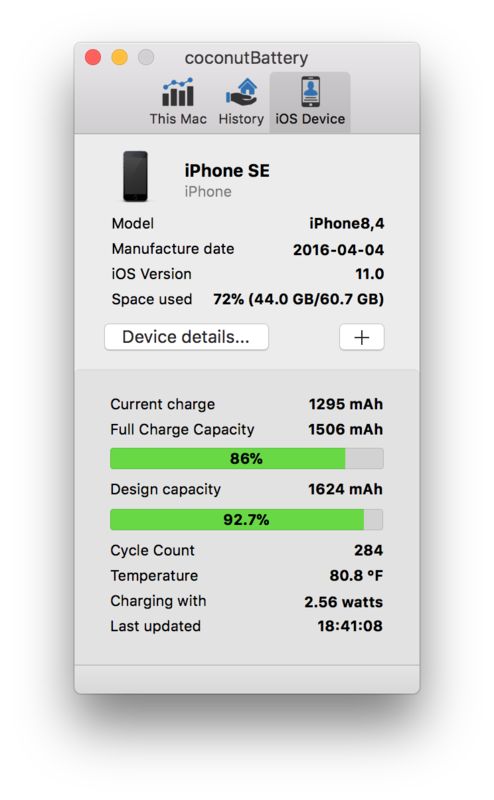 "Design capacity" is the capacity your battery should have, when it left the factory. 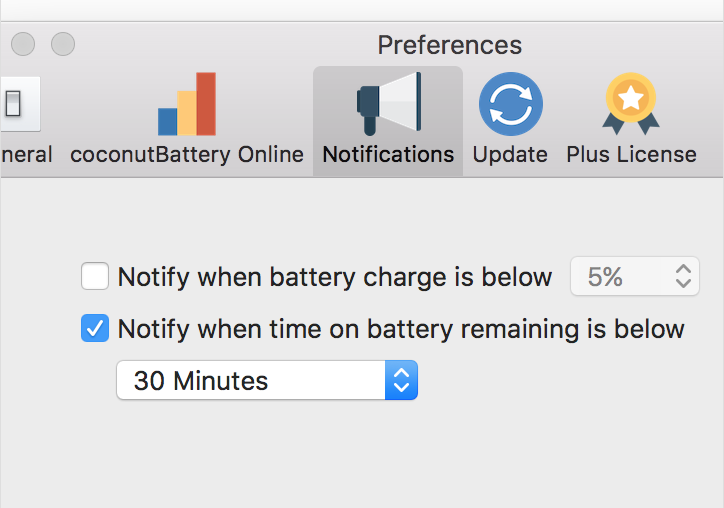 As battery manufacturing is still a more or less chemical process, it may be higher (congratulations) or lower when it is put into your MacBook. When I connect my iOS device I only get the message "Access to iOS device denied"
Before coconutBattery can access the device you have to "trust" your Mac on the device. Battery percentage on my iOS device differs from the percentage coconutBattery is showing. What's wrong? iOS uses a defensive calculated battery capacity value to define 100% (and the percentage calculation). 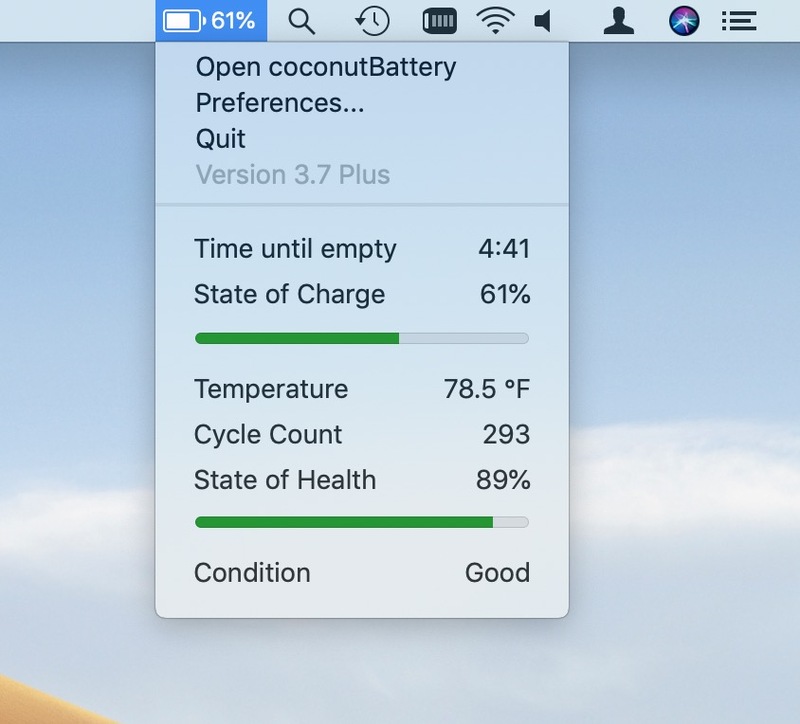 coconutBattery reads out the raw battery data and can give you more precise information. (for example you will see that the device actually is still charging when iOS tells you that it is fully charged). 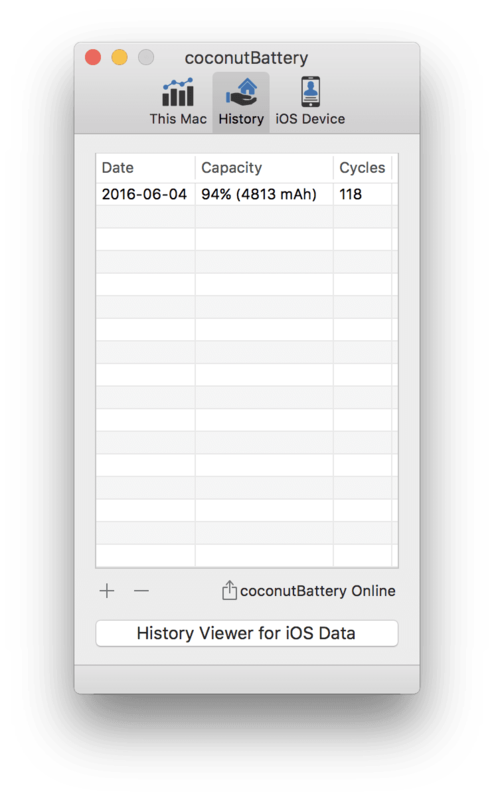 Where can I find the Mac and iOS Advanced Viewer in coconutBattery Plus? What is the "Lifetime used" of my SSD shown in the Advanced Viewer for my Mac? Cells inside current SSD devices can only be written a finite amount of time. To make sure the drive will hold as long as possible the all SSD devices contain an intelligent firmware which is distributing writes evenly across the drive. A "Lifetime used" of 100% does not indicate imminent drive failure but is a good indicator of overall health of the drive. 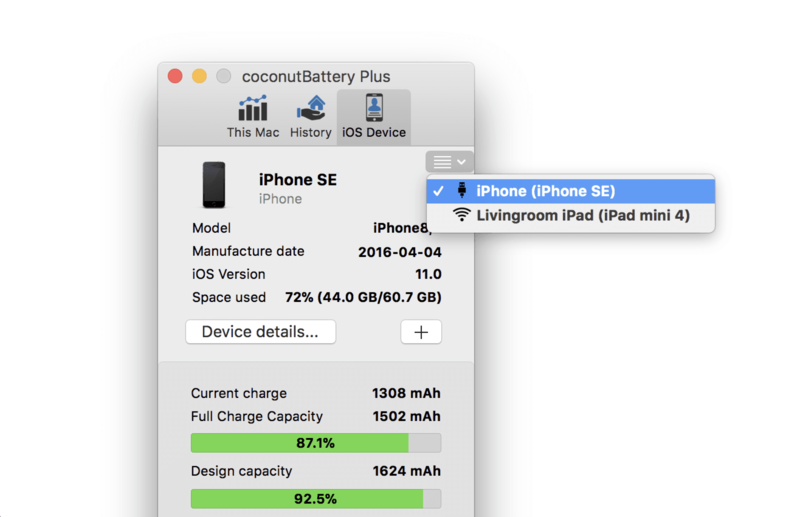 My iOS device isn't available in coconutBattery Plus via Wi-Fi. 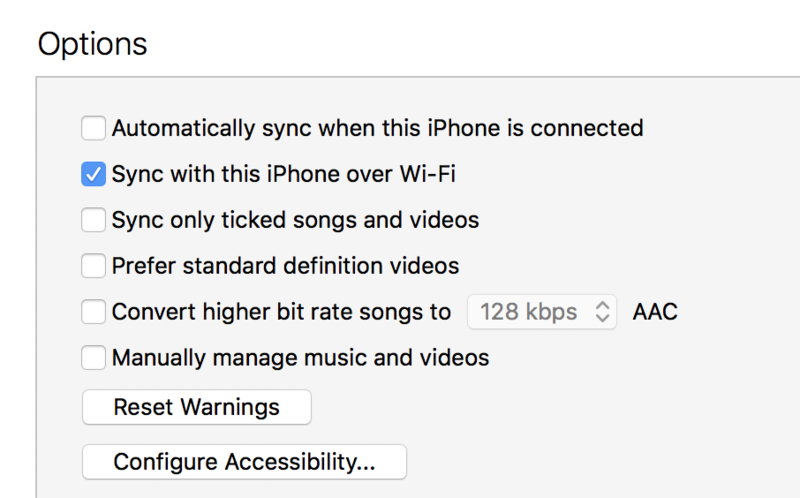 How do I enable Wi-Fi sync in iTunes?